UV 50 MINERAL – what is that? yes, thats what we all need. we need to take better care of our skin. I am every year surprised to see so many of my friends with sun burnt skin. and with all the information that is out there I was hoping that everybody understood so far that the flaming ball in the sky that we call sun, can cause some serious damage, in most of the cases irreversible. UV rays and environmental pollutants cause the skin to be irritated. the skin tends to dry out, loses its luminosity and ages a lot faster. what does the new UV 50 mineral with ection do? 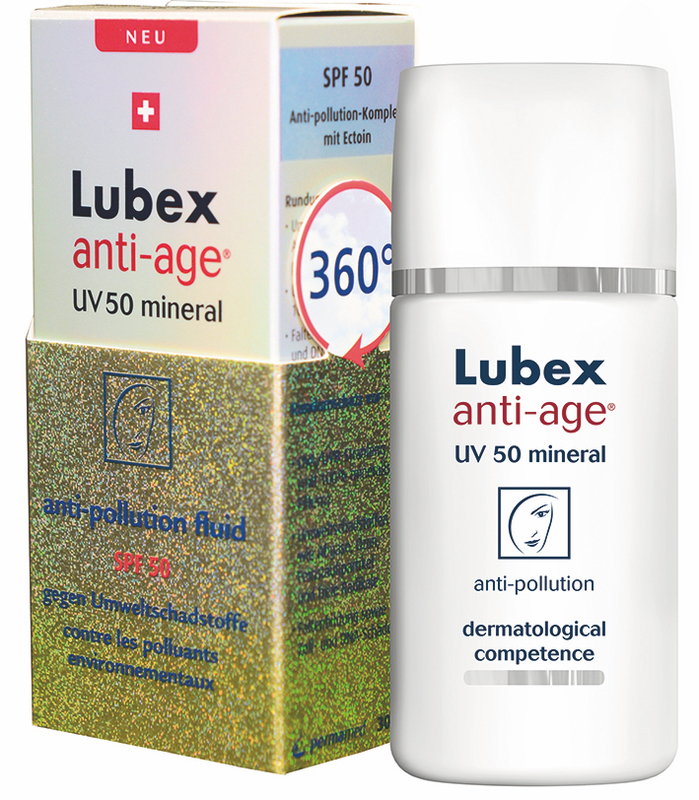 100 % mineral sunscreen, based on natural micro pigments and any health risk . against environmental pollutants (anti – pollution). the anti-pollution complex with ectoin acts against exhaust fumes, cigarette smoke, ozone and free radicals . against skin aging with help of ectoin. it increases the moisture in the skin and protects the immune system of the skin and the cells and DNA from harmful UVA rays. ectoin reduces the formation of sunburn cells and acts against wrinkles and skin aging. ectoin acts as a natural DNA and cell protective factor against UV induced skin damage and it supports the immune system of the skin. therefore it is used as an active ingredient in skin care and sun protection. ectoin stabilizes the natural structure of biopolymers such as proteins, nucleic acids and biomembranes. and thats exactly what protects against skin damage from UVA and UVB radiation. 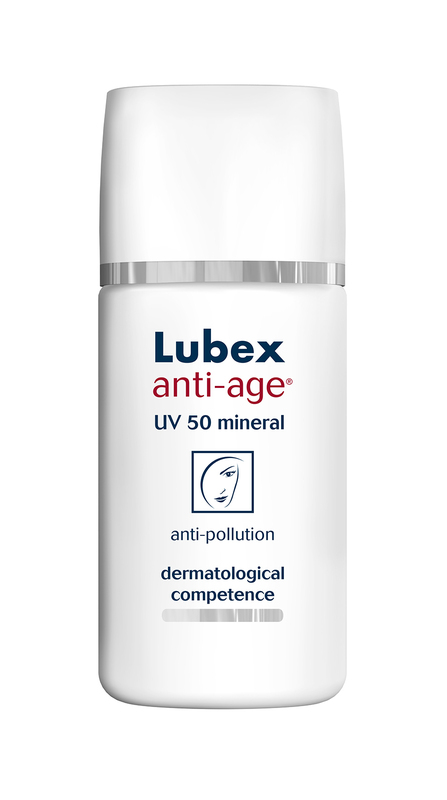 it acts not as a UV filter, but as a cell protection preventive against sun allergies, UV-induced skin aging and light dermatoses. It prevents damage in the epidermis and deeper layers of skin. In combination with an UV filter it has a highly effective cover and protects the skin ‘s immune system. now we read a lot about the magic ingredient called ectoin. I am always amazed about how far skin researchers came until today. and always love to use products that are without preservatives, dyes and allergenic perfumes. I was really happy that I got one of the new UV 50 mineral to try, so for all of you that might wonder. yes, this is a sponsored post. 🙂 for a long time I did not need any SPF 50 here in Basel due to the weirdly cold weather in June. but now its the moment to apply it every day and I am so happy that finally the sun is back and that I also have found a great product to protect my skin. I love the fact that it does not make my face white and that it is being absorbed very fast. as I am wearing my sunscreen underneath my foundation/ tinted day cream I dont want anything greasy or white 🙂 in case you have sensitive skin then this is something for you. I love it and have used it for the last couple of sunny days. my skin has not reacted with any breakout and thats always a very good sign. with the UV 50 mineral I got 5 bands for a smart way to enjoy the sun. 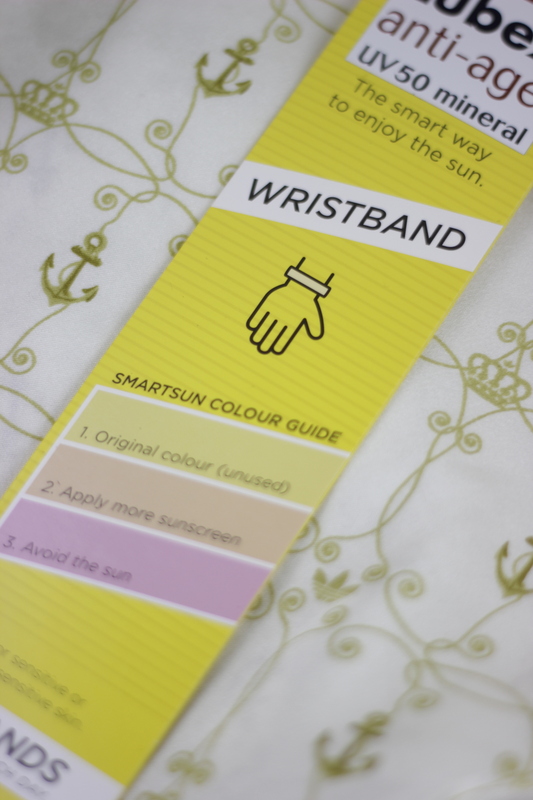 smart sun wristbands measure the amount of sun you are being exposed to during one day. it changes color to let you know when to apply more sunscreen or when to stay out of the sun. works everywhere. changes color faster in strong sunlight. measures the total amount of sun during an entire day. 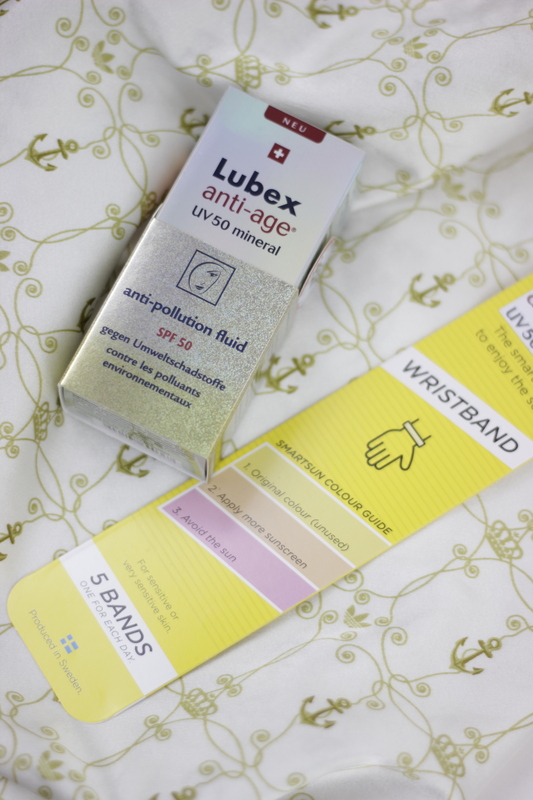 measures both UVA and UVB radiation. can be used in water, even in saltwater and chlorinated water. should be used from sunup to sundown, both indoors and outdoors. when the wristband turns pink, the risk of burning is high and then avoid the sun completely. one wristband is one-day use only. wow, thats a really smart invention and I can not wait to try these bands in Barcelona. my suitcase is almost packed and like every time it was a challenge to find the right things. stay tuned via my social media channels, there I will keep you up to date during my vacation.